This SNITZEL filly was purchased from the draft of Three Bridges who, in the last 5 years, have seen their results skyrocket off the back of racetrack success - so much so that they now have better racetrack results on a stakes-winner basis than some of the big studs in the Hunter Valley (source: arion.co.nz). Snitzel himself needs no introduction being a Champion sire and a renowned sire of early speed horses – including last years’ Golden Slipper Winner, ESTIJAAB. 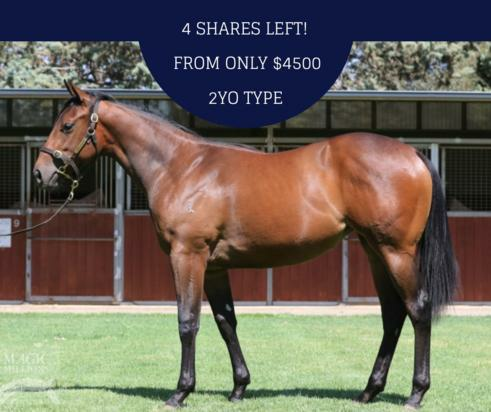 This filly is from the dam Denarii who has had 3 to race for 3 winners - all to sires who, statistically, have been exceptionally poor – which goes to prove the mare has done a great job. Now she has this beautiful Snitzel Filly so she will have her best ever chance to throw a genuine Stakes winner. This filly is a ¾ in blood to Chauffeur (2nd in the Magic Millions) and with a lovely pedigree she is sensational value as the sire has proven time and, again, he upgrades mares and their progeny. Given there are so many 2YO’s and she looks a 2YO old type we can see her running in the Autumn. If she is as fast as she looks she will be fantastic fun. Hello, I'd like to know more regarding the horse 'Snitzel X Denarii Filly' you have listed as available.